Flowers convey so many messages and feelings. Here are 10 reasons to send them to someone you care about. 1. If it’s their birthday, flowers are a special treat that shows them how much you care about them. 2. Flowers are also appropriate to send as a way of offering your condolences if someone you care about has lost someone close to them. 3. If someone you know is in the hospital or feeling unwell, flowers may help by cheering them up. 4. If your friend or relative has landed their dream job or passed an exam, flowers are a great way of congratulating their success. 5. Many people visit a florist at Christmas to buy many floral items. Poinsettias are often sent to loved ones as an early festive gift. 6. If someone you know has just had a baby, flowers represent a lovely way of congratulating the family. 7. Mother’s Day is always a popular occasion for sending flowers as they are often the perfect way to say thank you. 8. Another popular day for sending flowers is St Valentines, as flowers are a great way of telling someone you love them. 9. Men often send flowers to their spouse on their anniversary. And if they don’t, they often get in trouble! 10. Flowers are also given to work colleagues who are leaving, especially when they have become close friends. 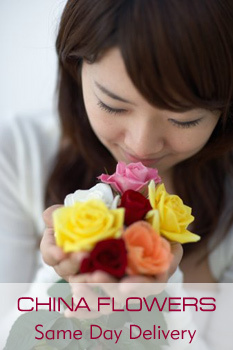 indeed, flowers can convey many messages and feelings! Mother’s Day is always a great occasion for sending flowers. Some lovely mothers day flowers are the perfect method to say thank you to a mother.